Near everyone has the issue of managing their digital identities, including multiple passwords, two-factor authentication, and other hurdles proving themselves who they purport to be. Microsoft and MasterCard's solution is one of many working on this problem. The two companies haven't shared much in the way of details as of yet, but Microsoft and MasterCard both highlighted the benefits a digital identify solution would bring such as working instantaneously and securely. Their joint proposed solution allows individuals to more easily control their own identity data on whichever devices they use. "Today's digital identity landscape is patchy, inconsistent and what works in one country often won't work in another. We have an opportunity to establish a system that puts people first, giving them control of their identity data and where it is used," says Ajay Bhalla, president, cyber and intelligence solutions, Mastercard. "Working with Microsoft brings us one step closer to making a globally interoperable digital identity service a reality, and we look forward to sharing more very soon." 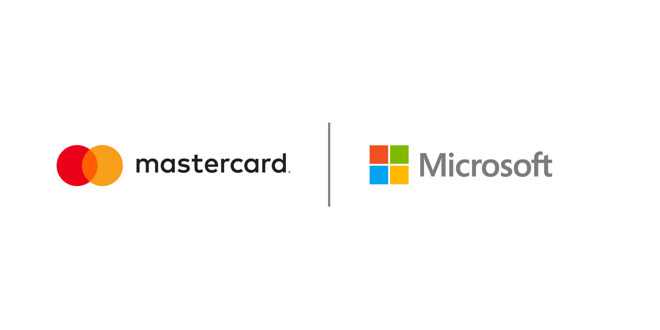 Bringing access to a universally accepted digital identify — which is easier said that done — would unlock "new and enhanced experiences" Microsoft and Mastercard said in their joint statement. Banking processes would be sped up, shopping woul due a more personalized experience, filing taxes digitally would be streamlined, and digital serves would be easier to access. Apple is also working on their own digital identify solution, hoping one day to replace IDs or passports with your iPhone according to recent patent filings. It isn't clear at present how the two systems would work, or for that matter, how the state and federal identity systems would connect to either program.